Caffeine – Grounds for Concern. Probiotics – how is your gut feeling? Bloating, burping, abdominal pain, diarrhoea, indigestion … not nice! 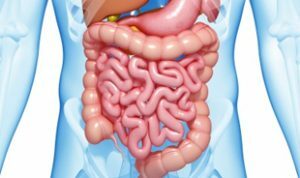 If your guts are not working well, the rest of your body will struggle to function at its optimum level. Even your immune system depends on healthy guts. Having a high immunity to disease does not come from a needle, herb drink or vitamin supplement. Your ability to fight off infections depends on how well your body’s defence system was developed when you were young. Ironically, in an age of hi-tech and hi-sanitation, it is exposure to a bit of grit and grime that can stimulate our defence systems the most. This is because the “friendly” bacteria in your gut have a vital role as immune system builders. If your immune system is mediocre (and you always catch the lasted cough, cold, or sore throat) it can be improved. Just like the muscles in your body, your immune system need to be stretched, exercised and fed in order to prevent illness, or recover well from an operation. One simple way to boost your immune system is to re-seed your gut with the very specific good bacteria – found in a good quality probiotic. There are plenty of these on the market, so how do you choose a good one? Firstly, look for the number of bacteria which the probiotics contains. A few million may sound a lot, but it is not. You need BILLIONS of these wonderful bacteria. Secondly, like paint or songs or people, there are many many different types of bacteria. Variety is the key. You need as many as possible. If the probiotic only lists 4 or 5 strains of bacteria this will be OK, but you can do better. Probiotics such as kefir contain around 50 different types of bacteria. Kefir is easy to make yourself. A good quality kefir, made from fresh goat milk can be ordered from the Chuckling Goat farm in Wales, UK. This kefir has been shown to help skin conditions – which are related to gut health. Goat’s milk contains a different type of protein, compared with that in cow’s milk. However, the probiotic bacteria love both. A small (100 – 150ml) portion of kefir has 40 – 50 different strains of probiotic bacteria. Variety is the key and, given the right conditions, they increase to boost the potency of the fermented milk. 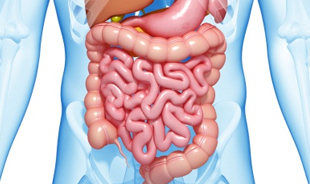 As the bacteria thrive, so will your gut function and digestive system. Taking a daily dose of kefir can certainly help if you suffer from bloating, constipation, heart burn, acid reflux. By healing your insides, expect to feel good on the outside too and watch your skin, hair and eyes shine!